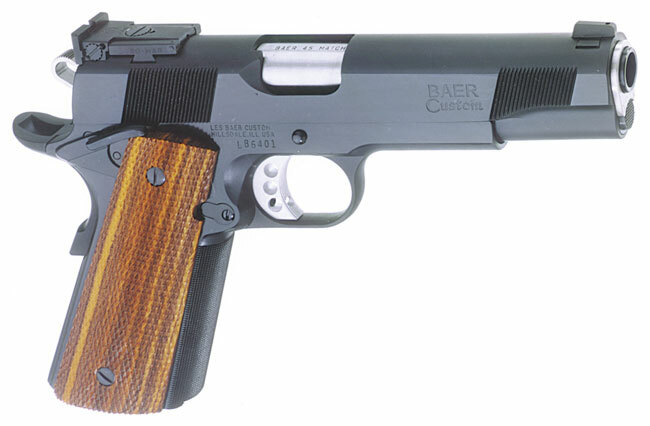 Les Baer's Premier II© has become the industry standard to which all other factory or custom built 1911s are compared. The 5" long Government Model (pictured above) is the best single stack duty, defense or competition pistol you'll find in America -- the best quality, the best value and the best performance. No wonder so many of them show up at IPSC Limited Class matches. The Premier II© is even guaranteed to shoot 3" groups at 50 yards! We've sold so many in the USA and abroad, the Premier II© has become the flagship of our line. It performs like a million bucks but it costs a whole lot less.